Our selection for the #28 cigar on the 2012 Cigar of the Year Countdown is the My Father Commemorative 911 Limited Edition 2012 Habano Maduro. This is a retail exclusive cigar made available to Casa de Montecristo in Countryside, Illinois and was done to commemorate the fallen heroes of the 9/11 tragedy. A portion of the proceeds will be donated to the family members of fallen firefighters. The My Father Commemorative 911 Limited Edition 2012 Habano Maduro marks the second retail exclusive cigar by My Father Cigars to land on this year’s countdown – joining the #29 My Father Le Bijou 1922 Ecuadorian Connecticut Federal Cigar Edition (done for Federal Cigar in New Hampshire). The My Father 911 Limited Edition 2012 series introduced two new blends to this series (launched in 2011). In addition to the Habano Maduro, a Connecticut Ecuador wrapper option was introduced. Both cigars are packaged in boxes of 20 with 9 Connecticut Ecuador cigars and 11 Habano Maduro cigars. There have been a total of 343 boxes released. The 343 is symbolic of the 343 fallen firefighters during the 9/11 attacks. The 911 Limited Edition Habano Maduro is a classic maduro smoke. In a year where maduros were dominated by Connecticut Broadleaf and San Andres wrapper, it was great to see a excellent habano option. 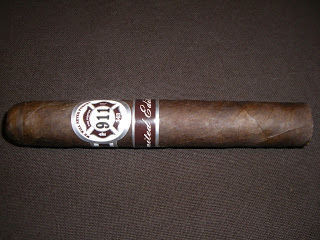 The 911 Limited Edition Habano Maduro provides a nice mix of chocolate/cocoa/espresso, pepper, citrus, nut, and earth. The flavors are medium to full in body and balanced beautifully by the cigar’s medium to full strength. Construction is outstanding on this cigar. Click here for our assessment of the My Father 911 Limited Edition 2012 Habano Maduro. There is only one vitola for this blend – a 5 1/2 x 54 toro.